As the one-year anniversary of his 2017 inauguration loomed, Donald Trump fired off yet another of his tweets rejecting climate research and mocking concern about man-made climate change. It was an insignificant thing in itself, perhaps – Trump had scorned climate science and climate action on Twitter plenty of times before. And this wasn’t the first time he had been dismissive about global warming because of very cold or snowy weather. But familiar as it was, this latest tweet was also telling: Trump seemed to be signaling that he would stay on the climate course he had set in his first year through many actions to reverse U.S. policies to reduce climate-altering pollution. Those actions included steps to begin withdrawing from the Paris Climate Agreement and to scrap the Obama administration’s Clean Power Plan. As the Trump presidency’s one-year mark on Jan. 20 drew near, however, leading scientists and other experts were saying something very different about climate change. 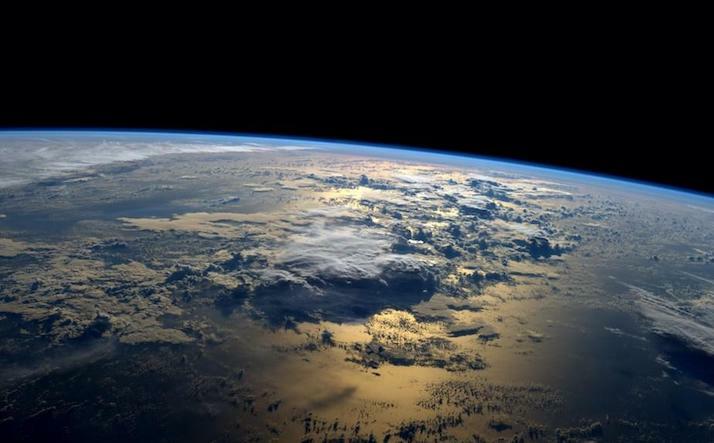 Climate scientists at two U.S. agencies issued reports last week saying they saw no lessening in the warning signs of a dangerously disrupted planetary climate system. And hundreds of other experts, in a separate report prepared for this week’s World Economic Forum, which Trump is attending, ranked climate and weather hazards among the topmost risks confronting the planet in 2018. Federal scientists at two agencies announced that 2017 was one of the hottest years on record, even without a temperature-boosting El Niño weather pattern. NASA’s analysis ranked 2017 as the second-warmest year (after 2016) and the National Oceanic and Atmospheric Administration, using different analytical methods, put 2017 in third place (behind 2016 and 2015). El Niño effects had added to record heat, averaged globally, in 2016 and 2015. 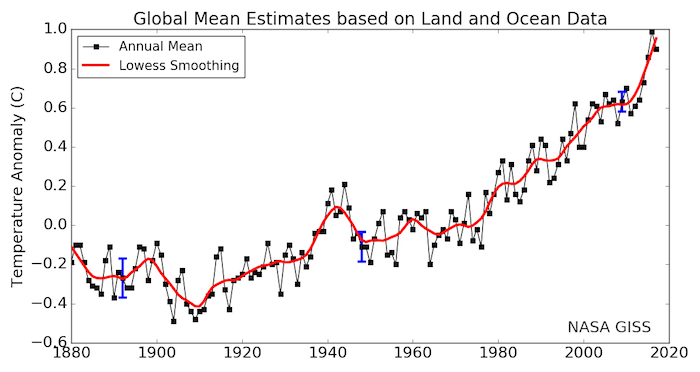 NOAA noted that both its analysis and NASA’s found the five warmest years on record have occurred since 2010. Britain’s Met Office and the World Meteorological Organization also ranked 2017 among the three warmest years since record-keeping started, NOAA added. In advance of the World Economic Forum, an annual meeting in Switzerland of national leaders and other members of the global elite, the non-profit foundation that holds the event announced that the almost 1,000 “experts and decision-makers” it surveyed around the world for its “The Global Risks Report 2018” ranked the environment, including climate and weather issues, as “by far the greatest concern” they anticipate for the coming year. Among the 30 global risks the experts were asked to prioritize in terms of likelihood and impact, all five environmental risks – extreme weather; biodiversity loss and ecosystem collapse; major natural disasters; man-made environmental disasters; and failure of climate-change mitigation and adaptation – were ranked highly on both dimensions. Extreme weather events were seen as the single most prominent risk. Extreme weather events were ranked as a top global risk by likelihood and impact. Environmental risks, together with a growing vulnerability to other risks, are now seriously threatening the foundation of most of our commons. Unfortunately, we currently observe a too-little-too-late response by governments and organizations to key trends such as climate change. It’s not yet too late to share a more resilient tomorrow, but we need to act with a stronger sense of urgency in order to avoid potential system collapse. 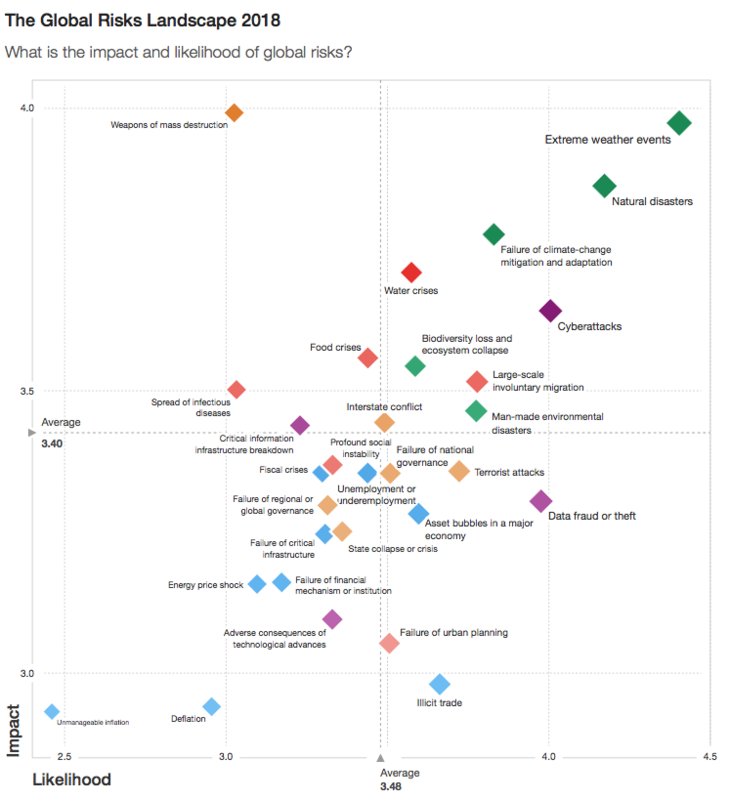 Nearly 1,000 experts around the world ranked global risks for the World Economic Forum. Risks’ severity of potential impact increases from bottom to top on this chart. Risks’ likelihood increases from left to right. All five environmental risks that were included in the survey were ranked among the highest-impact and most likely hazards. They included “extreme weather events” (which scientists increasingly link to climate change) and failure of leaders to take appropriate actions to mitigate (that is, reduce) climate change and to adapt to climate change that scientists say will happen in any event because of past and continuing emission of greenhouse gases. Confronting Trump over climate at Davos? At the World Economic Forum conference in Davos, Switzerland, this week, the United Nations’ top climate official is scheduled to meet with government and other leaders to discuss implementation of the Paris climate accord, which lays out a pollution-cutting blueprint aimed at avoiding the most dangerous climate-change impacts that scientists have projected. One question hanging over the meeting is how much other leaders will try to engage Trump about his climate stance, which is starkly different from other major nations’ positions. All of them (along with the rest of the world’s governments) are signatories to the Paris pact. Before the event began, some European observers thought the likeliest leader of an effort to persuade the U.S. president to rethink his climate policies would be French President Emmanuel Macron, with business leaders concerned about climate change perhaps joining him. Extreme weather events in 2017 included unusually frequent Atlantic hurricanes, with three high-impact storms – Harvey, Irma and Maria – making landfall in rapid succession. According to the Accumulated Cyclone Energy (ACE) index, which is used to measure the intensity and duration of Atlantic storms, September 2017 was the most intense month on record. It was also the most expensive hurricane season ever. These extreme incidents continue a trend towards increasingly costly weather events over recent decades, although rising costs reflect factors such as the location and concentration of assets as well as changing weather patterns. Extreme rainfall can be particularly damaging – of the 10 natural disasters that caused the most deaths in the first half of 2017, eight involved floods or landslides. Storms and other weather-related hazards are also a leading cause of displacement, with the latest data showing that 76 percent of the 31.1 million people displaced during 2016 were forced from their homes as a result of weather-related events.